We know that we're somewhat spoiled in comparison to other vehicles in regards to accessory options....but like anything we still want more. I thought it would be kind of fun/useful to create a post about some of those elusive accessories that even when there are a lot of options, that particular one we're looking for, just doesn't seem to exist. - Maybe it's based off of an existing product, but the existing product just needs those 1 or 2 additional things that would make it perfect for you. - Maybe it's a product that doesn't exist but you've seen others cobble parts together and create a solution which is less than an ideal situation. - Maybe start with someone elses idea and modify it so it would suit you even better. - Maybe it's a product that exists but when you look at the price, you just shake your head and say, "I like it but for my uses I could never find myself justifying paying that much for it." Which brings us to an important part, what price range would you be willing to pay for that accessory? Maybe base that price off of something similar where you were willing to settle but it just didn't thrill you since it didn't have everything you wished it had. Hopefully some of these ideas could spark some innovation into some of the vendors to start creating those options instead of making a different version of an already existing design which checks off the same boxes, but just looks different. Put each of your ideas in a separate post and click on the "like" button for the accessory idea posts from others you wouldn't mind seeing and would have an interest in purchasing for your Jeep...."If" it was available. I have a couple, that I can think of off the top of my head. I'm sure others may follow. Last edited by Rednroll; 04-16-2019 at 10:29 AM. 1. We want something that will protect our rocker panels from getting damaged when off roading and crawling over rocks, trees and other debris. Preferably frame mounted. 2. We want something which has better styling than bent and welded together pipes. Enough with the bent and welded pipe options! 3. We want something which has a step that comes down but can be folded up and away. Think of the amp engineering powered steps, they solved this problem but not so much in regards to #1 and #4. Folks on these forums lift their Jeeps for adding bigger tires AND for added belly clearance. They'll sweat the details over adding Geo Brackets for caster correction because they reduce the belly clearance by 1.5inch in 2 small locations under their Jeep and spend extra $ on adjustable control arms instead to overcome that problem. Yet we see 20 different step rails which will reduce that same belly clearance in 4 larger locations by 3-6inches without an alternative solution to be able to raise that step up for clearance when we want that clearance. 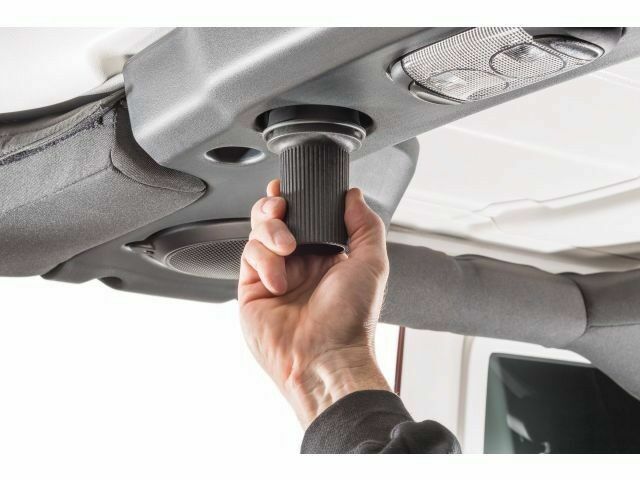 Think of something that could be folded down far enough to serve as a step that your 80 year old grandmother could get up into your lifted jeep, but folds up and under it, out of the way after she gets in so you can take grandma rock crawling while still protecting your rocker panels from rock damage. 4. We want all of that in something which costs less than $500. Think of all the options which are out there for rock rails and steps for our Jeeps, but I have yet to find one which hits all 4 of those criteria items. Someone show me where to get that accessory product! Last edited by Rednroll; 04-15-2019 at 10:11 PM. 1. We want something that will stretch and be form fitting around our 10K-12K winches. 2. We want something that will not easily tear/rip or fly off. 5. We want something which doesn't have branding names/logos all over it, or at least gives the option to easily add/delete those branding logos. 6. We want all of that for less than $40. Neoprene covers are great, they can be found to meet items 1-3 and 6. Yet, neoprene fades when exposed to the sun and starts looking terrible after 2 months unless you treat it with UV protector spray every 2-3 months and who wants to be spending time maintaining their winch cover throughout the year, especially if you live in Nothern climates and have to try and spray UV protector in the freezing cold? Sorry if you like splattering your company name on the winch cover, so your brand name/logo can be promoted on the front of our Jeeps. The fact is a lot of us don't have your name brand winch but may have an interest in your cover offering where it just seems silly putting a Superwinch cover on a Smittybuilt, Warn, or any other brand winch. We also don't like putting "Sun Pie", "Sun Room" or whatever brand name you created to be put on your cover for a winch brand that doesn't exist....or maybe I did purchase a Sun Pie winch and I want the world to know I'm proud of my Sun Pie winch. Include an iron on patch with the cover and we can put it on the cover or sew your logo on, where we can easily take out the stitching and remove it if we choose. Someone show me where to purchase that winch cover! Last edited by Rednroll; 04-15-2019 at 10:12 PM. Why are we mounting our air compressors under the hood where they're being exposed to heat and other nasty elements? Why are we mounting our air compressors under the seats where they're noisy inside the cabin and the tires we're trying to fill are outside our Jeeps? 1. We want an air compressor which is water proof and can be mounted outside our Jeeps. You mean to tell me that Harbor Freight can make water and fountain pumps which can be submerged under water and contain an electrical motor and nobody can design an air compressor which can do the same? You mean to tell me the starters on our JK are mounted under our vehicles and are a high current draw DC motor which can get exposed and submerged in water but the same can't be done with an air compressor? 2. We want an air compressor which can be mounted outside our Jeeps and resists corrosion. 3. We want that air compressor's attachment hoses and fittings so they are resistant to the outside elements so they don't dry rot, corrode and split apart. 4. We want it to be a high volume compressor which is at least capable of putting out 150 PSI. 5. We want it to be able to run long enough to fill up (4) 37in tires from 5psi to 35psi without having to turn it off and wait for it to cool down. Someone show me where to purchase that air compressor! Last edited by Rednroll; 04-15-2019 at 10:40 PM. The elusive freedom panel screwdriver removal tool. 1. We want a freedom panel removal tool which is like the Mopar one shown above. 2. We want it not only where it can be used by your hand to turn those screws, but we want it to have a hex fit peg sticking out of the bottom as well, so we can put it in a cordless electric screw driver to zip those hold down screws in and out. It is somewhat awkward reaching back for those freedom panel anchor screws, while pushing our fingers up in there to turn it. Someone started with a pretty neat design idea at Mopar, but then forgot to add the most important piece to make it much more useful, the hex peg so you could put it into a screw driver. Please someone get me that accessory tool! Last edited by Rednroll; 04-16-2019 at 05:07 AM. When you go wheeling here in Texas things can heat up quickly. Been wheeling hard all day in a dark colored Jeep and its 110 Degrees outside the engine bay gets pretty steamy. We have hood louvers which help, but why not any fan kits to mount to help draw the hot air away? I have seen people mounting computer fans as a "solution" but they wear out quickly from the heat. 2. Have the fan able to withstand the heat that it will be trying to remove. 3. Have it strong enough to move air but not consume a lot of power so we can run them off of a switch system like an Spod. 4. Make it where it dosent sound like we have a wanna be jet engine going off under the hood. 5. Not have it cost an arm and a leg. I think that sound would be the bonus. 2. Includes mounting for factory fog lights. I can find plenty of examples that meet most of those points, but never seen one that fits them all. One that is kind of close is the 7 slot customs, basically only thing missing is the stinger, but you can easily fab one up, or a shop can. Im about to order the frame chop bumpers. I just updated my OP. That's a great example. You find something which is close to what you want but you feel it's missing those 1 or 2 small details where you feel you're having to settle and therefore less than thrilled with your purchase because you felt you had to settle while paying good $ for it. Reading through your list, I felt the Hard Rock factory bumper is close but you would be giving up on D ring mounts, and over paying for it at the same time. Last edited by Rednroll; 04-16-2019 at 09:57 AM.